Both these projects, Stirling Residences and Margaret Ville are located around the Queenstown area. Both are expected to obtain their temporary occupation permits (T.O.P.) in around three to four years from now, approximately 2021 or 2022. They were launched within two months of each other. 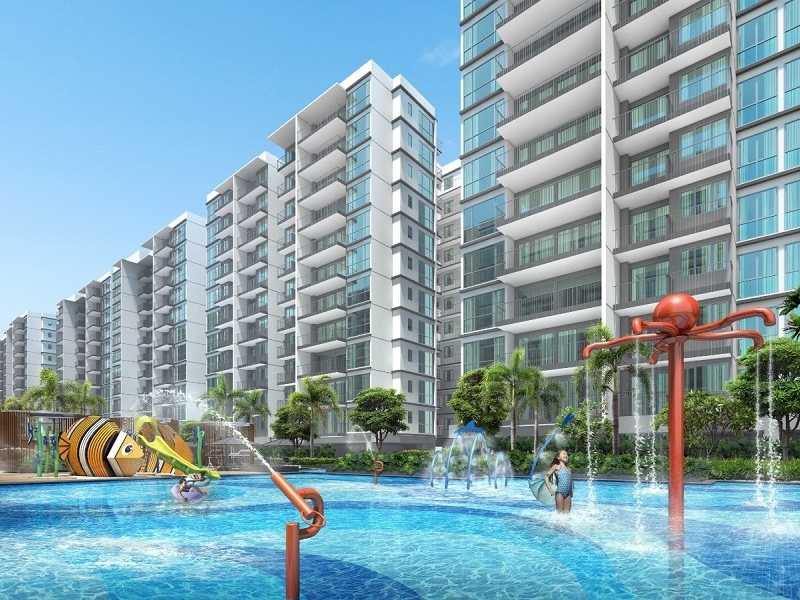 Margaret Ville was launched in May 2018 and Stirling Residences opened for booking on the day that the Singapore government announced the latest round of cooling measures. They share a lot of similarities and thus it would be good to do a review of them in the same blog post. Stirling Residences is a 99-year leasehold condominium located along Stirling Road. The development site is 21,109.5 square meters or 227,222.66 square feet and it will consist of two 40-storey towers and one 38-storey tower. There will be 1259 units in total. The expected date of T.O.P is April 2022. The site made news in May 2017 when Logan Property and Nanshan Group won the bid for the plot of land in that round of government land sales tender. 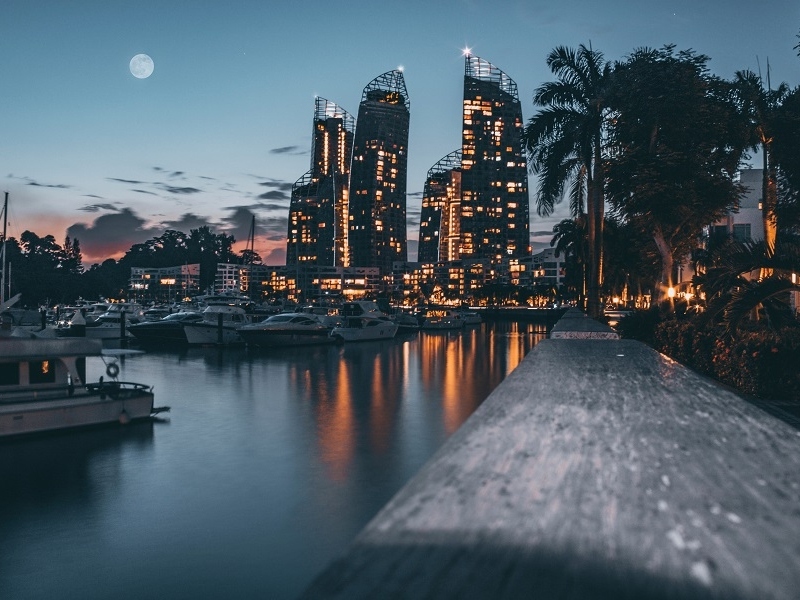 Their top bid was $1.003 billion, beating 17 other bidders, making this the first fully residential site in Singapore to have crossed the billion dollar mark. The bid, which translates to $1,051 per square foot per plot ratio was considered very high and it paved the way for subsequent aggressive land bids and helped to fuel the en bloc sales fever that ensued in the following months. Margaret Ville is a 99-year leasehold condominium located along Margaret Drive. Margaret Drive is perpendicular to Commonwealth Avenue. The development site is 51,772.2 square feet and will consist of one 40-storey tower with a total of 309 units. The expected date of T.O.P. is December 2021. There were 14 bids placed during the government land sales tender and MCL Land emerged with the top bid of $238.39 million or $997.85 per square foot per plot ratio. This was 7.9 per cent higher than the second-highest bid from Allgreen Properties. The aggressive bidding led many market watchers to sit up and take notice as this was higher than nearby sites Commonwealth Towers and Queens Peak at $883 and $871 per square foot per plot ratio respectively. It showed how seemingly desperate developers were to top up their land banks. Both developments are located close to Queenstown MRT Station. Queenstown MRT Station is just 5 MRT Stops away from Raffles Place MRT Station and will cost $1.16 per trip and take 10 minutes. In fact, Singapore’s central business district (CBD) starts from Outram MRT Station. Thus Queenstown MRT Station is just 3 MRT stations away from the CBD. 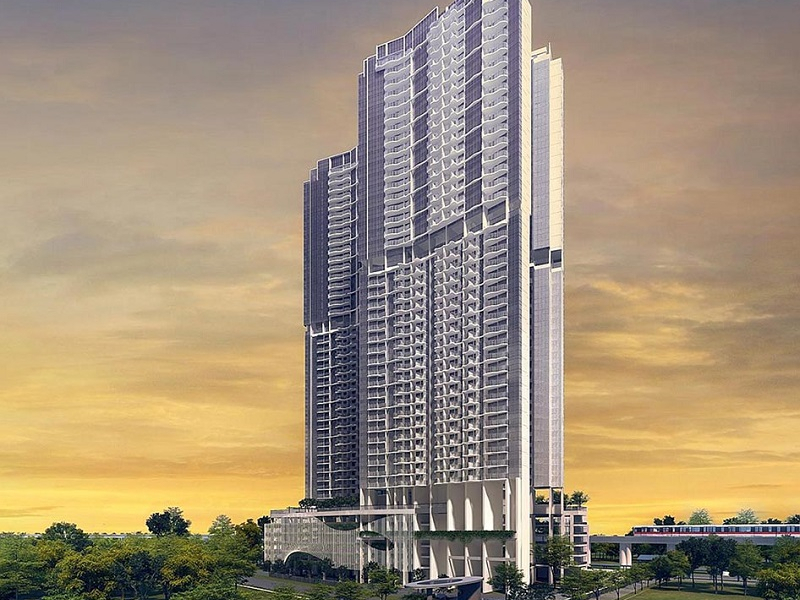 Stirling Residences is located along Stirling Road just behind Queens Condominium. 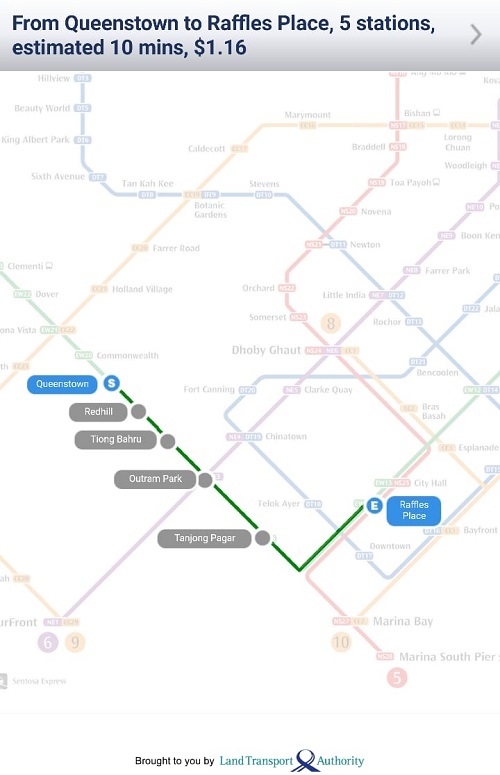 It is approximately 270 metres to Queenstown MRT Station and will take about 3 minutes to walk to the MRT Station. There are amenities near Mei Ling Street. Mei Ling Market is located about 2-3 minutes walk away from Stirling Residences. 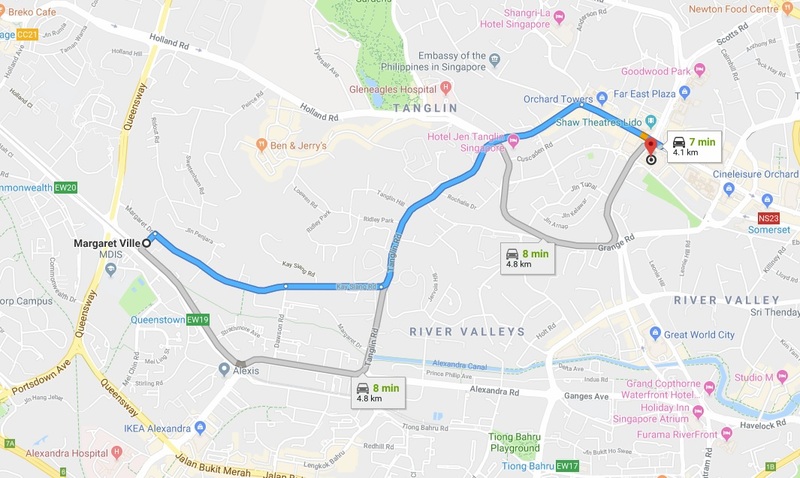 If you are driving and would like to travel to Orchard, it would take you approximately 9 minutes to travel to Orchard MRT Station. The distance is approximately 5.2 kilometres. Margaret Ville is also close to Queenstown MRT Station. If you are familiar with the location, there used to be an old hawker centre here. Margaret Ville is located next to Queensway Secondary School, opposite Church of Our Saviour. 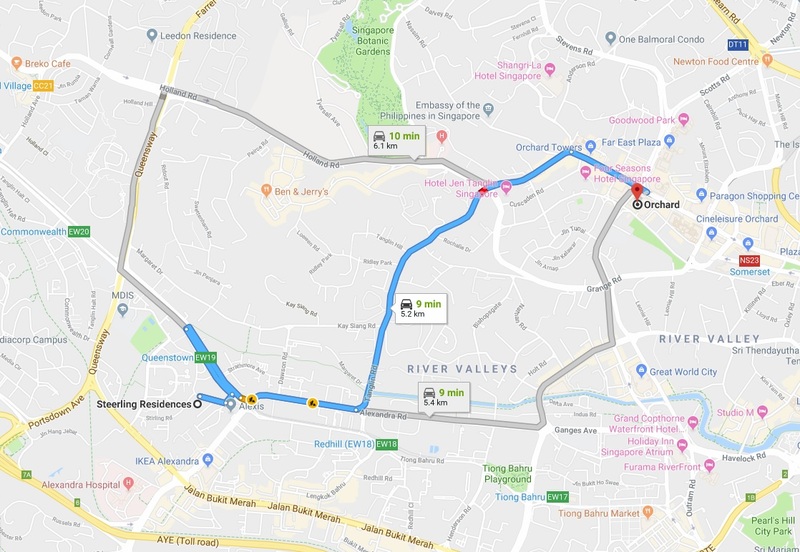 In fact, some residents of Margaret Ville may also consider walking to Commonwealth MRT Station as the distance to Commonwealth MRT Station seems to be similar as the distance to Queenstown MRT Station. For those residents who are driving, it will take them about 7 minutes to get to Orchard MRT Station. The distance travelled is about 4.1 kilometres. 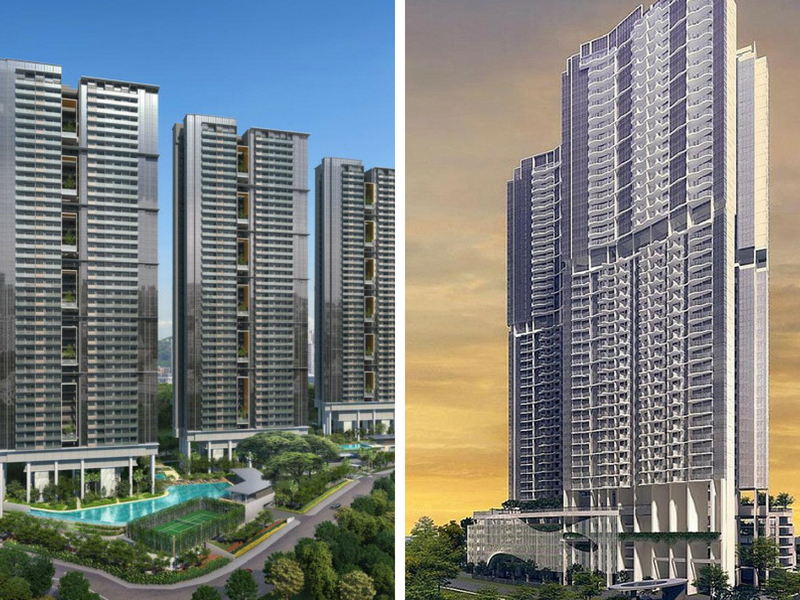 The main selling point about both these developments will be the proximity to MRT stations that are just a few MRT stops away from the CBD of Singapore. Due to the proximity to places like Raffles Place and Tanjong Pagar, tenants would consider the developments in this area if they are working in the CBD. The proximity to Orchard Road is also a huge plus. Getting to Singapore’s premier shopping belt takes less than 10 minutes. It would be wise to note that I did the enquiries on Google Maps during non-peak hours. Even then, it should not differ greatly when travelling during peak hours as the distance is very short and roads that lead to Orchard Road are relatively smooth, even during peak periods. 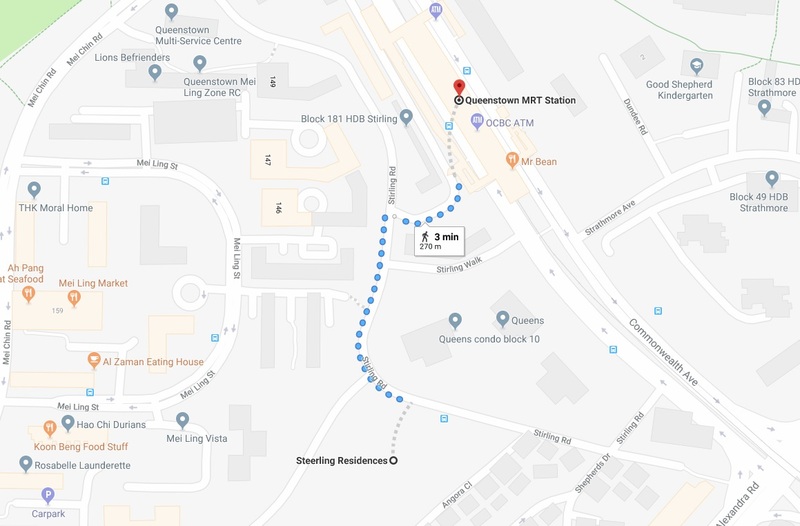 Even though the developments are close to Queenstown and Commonwealth MRT Stations, there is a lack of amenities in this area as compared to the area around other MRT Stations like Clementi. Having a large shopping mall with a cinema and a good variety of food and retail options is always a draw for tenants and home buyers alike. 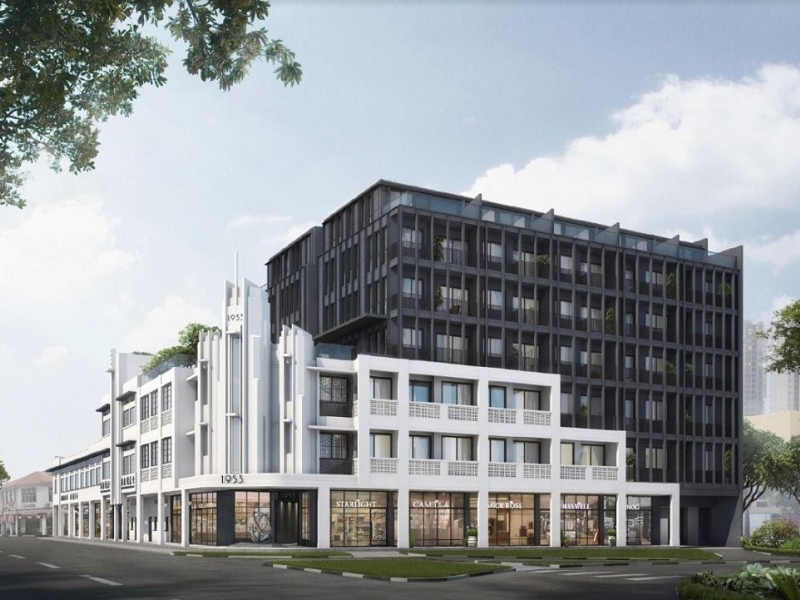 These developments, although located in a very prime area in terms of proximity to the CBD, may lose out to condominiums around Tiong Bahru and Clementi MRT Stations as there are more amenities around these areas. If you are looking to buy a property around the city fringe, then you can consider these two developments. Being so close to the CBD you should always have a pool of tenants who want to live in this area. 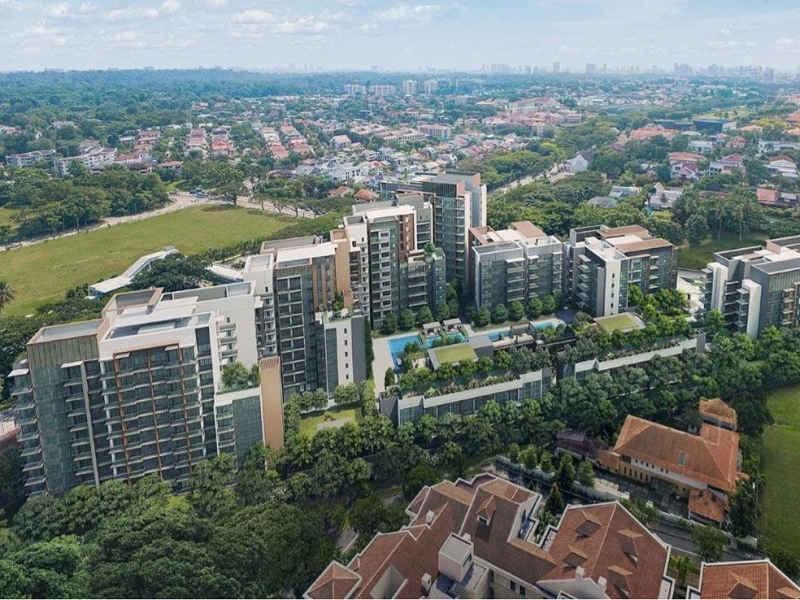 However, the fact that developments that are located right next to Queenstown MRT Station were sold at lower prices does pose a threat to buyers of Stirling Residences and Margaret Ville. In fact, if you were to do a search on rental contracts for May, June and July 2018 for just Commonwealth Towers, you would see that there were 240 units rented for that period. If you buy into either of these developments, you must understand that competition for tenants will be rather fierce. Commonwealth Towers has 845 units, Queens Peak will be completed in about a year and a half and will add another 700 units. The preexisting Queens has 722 units, Alexis has another 293 units and The Anchorage has 775 units. There are 1-bedroom units at the newly completed Commonwealth Towers that were rented for $2,000. 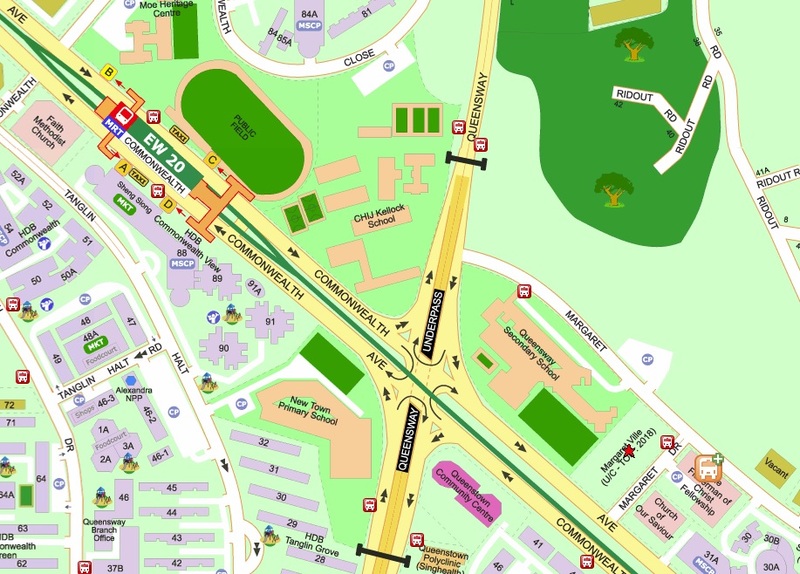 Commonwealth Towers is the newest and closest to Queenstown MRT Station. In fact, it is right next to exit C of Queenstown MRT Station. Yet you can get a 1-bedroom for $2,000. The total number of completed condominium units in the area currently is 2,635 (Commonwealth Towers, Queens, Alexis, Anchorage). By the time Stirling Residences and Margaret Ville are completed, there will be an additional 2,268 units in the area (Queens Peak, Stirling Residences, Margaret Ville). The increase is a whopping 86%. There will definitely be downward pressure on rent especially if demand does not catch up with the supply of new homes. This is why buying very close to an MRT station with good amenities is essential if you are looking to rent out your property. It would also be wise to note that Queens Peak and Commonwealth Towers were launched at lower prices. Thus buyers could afford to rent out their properties at a lower rent. Here is the query from URA. I marked out the rental contracts that were signed for low rates. Please note that these are outliers currently but I would urge investors to use such figures to gauge the expected rental rate in the future as there is going to be a large influx of condominium units in this area. 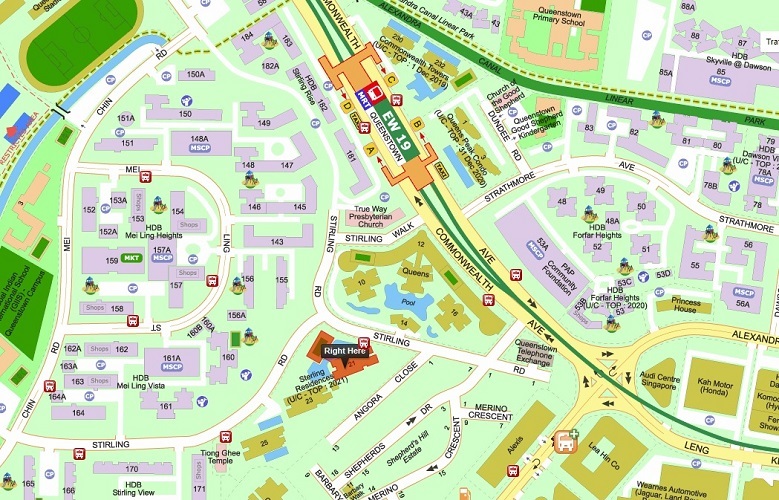 Moreover, Commonwealth Towers is right next to Queenstown MRT Station. I find it extremely expensive. 1-bedroom units are going at about $2,000 per square foot and prices start from $899,000 (from 441 square foot). 2 bedrooms start from $1,063,000 (from 624 square feet), 3 bedrooms from $1,552,000 (From 883 square feet). Gross yields should work out to about 3 per cent or less if rental demand remains tepid. Here is where I think Stirling Residences works. It is actually off the main Commonwealth Avenue Road. Some units in developments like Queens Peak, Commonwealth Towers and Queens may have to grapple with noise from the road and the MRT tracks. Stirling Residences is located just off Commonwealth Avenue and is an excellent place to live. If you are looking to purchase a unit for your own stay and are considering one of these developments, Stirling Residences is a more peaceful and serene environment as compared to Those flanking the main Commonwealth Avenue Road. This is a big question mark. We have yet to see much from both Logan Property Holdings and Nanshan Group. Nanshan Group is a Chinese developer and this is their second residential project in Singapore. The first was the 288-unit Thomson Impressions. 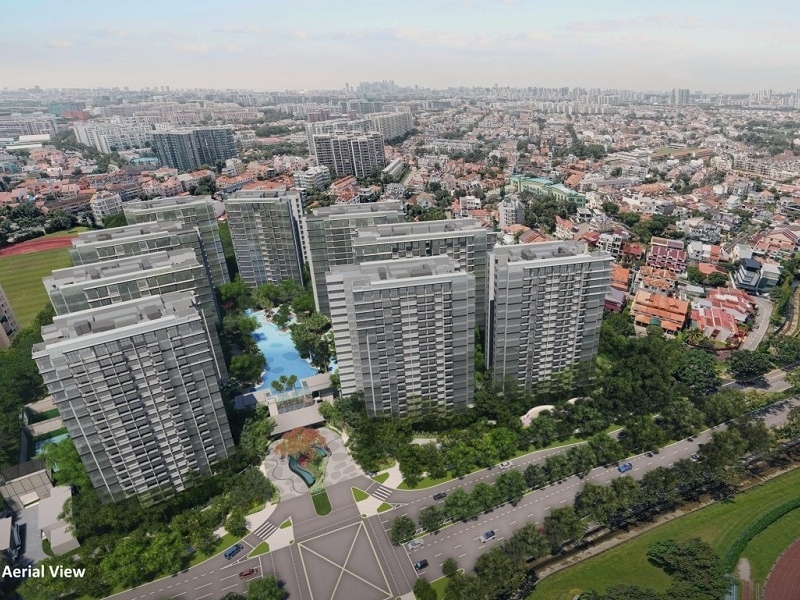 As for Hong Kong-listed, Shenzhen-headquartered Logan Property Holdings, this is their first foray into residential development in Singapore. 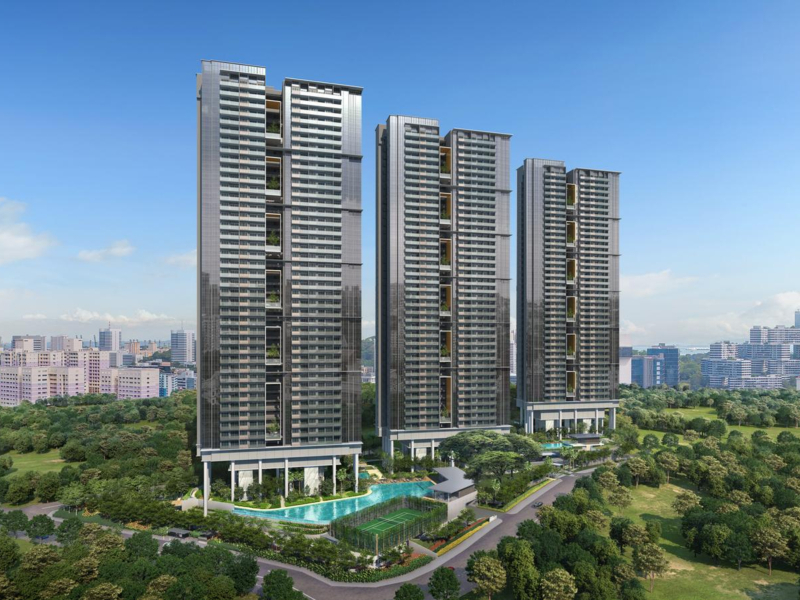 Margaret Ville is the furthest of the four new condominiums in the area, Queens Peak, Commonwealth Towers, Stirling Residences, Margaret Ville. Some units were transacted at more than $2,000 per square foot. The median price of the units transacted to date is $1,843 per square foot. If you were to compare this to Stirling Residences where the median price is $1,746 per square foot, the buyers at Margaret Ville have truly overpaid for their units. I have always maintained the stand that even if developers paid high prices for the land if you are a property investor, such figures should not form the basis of why you should buy a certain property. Your decision making should centre on how much you can rent the property out for and whether there is a chance for future price appreciation. History has proven that prices can take a substantial tumble during a downturn. Yes, I believe that in the long run property prices will appreciate but not everyone makes money from property investment. Interest rates have spiked recently and there have been significant headwinds in the stock markets and tensions have formed between major economies in the world. A global downturn is a plausible outcome in the near future. Margaret Ville is the furthest of the four mentioned developments from Queenstown MRT Station and yet it is selling at the highest price. This, to me, is a perplexing situation. 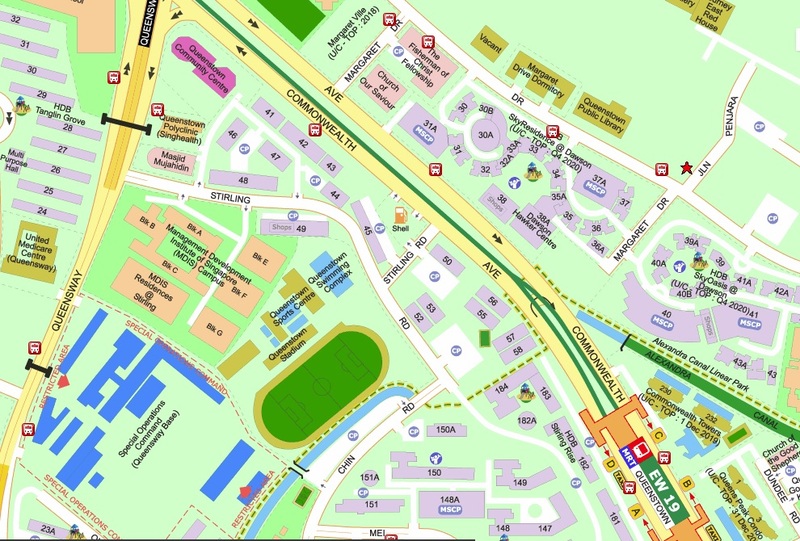 The development may be close to Queenstown and Commonwealth MRT Station but it is not the nearest and it is actually between the two stations. It is not a short walk. Moreover, it is along the main Commonwealth Road. There may be road and MRT track noise for some of the units. MCL Land is an experienced developer. Their recent developments include Sol Acres and Lake Grande and their past developments include developments like Lakeville, J Gateway, Ripple Bay, The Estuary and many more. They are a very experienced developer with a strong track record. I cannot recommend a development like Margaret Ville to buyers as the development ticks very few positive boxes. 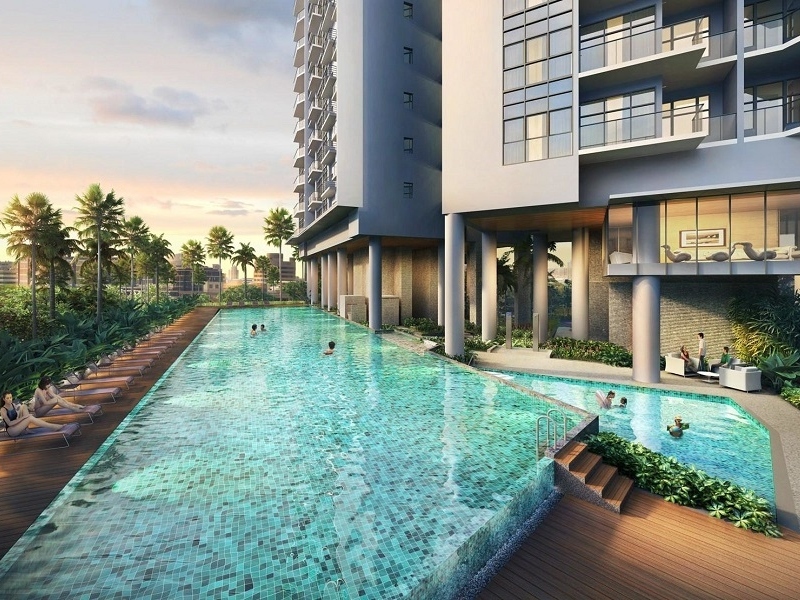 I personally like Stirling Residences as a property which I would like to reside in. Mei Ling Street is a very serene area and some HDB flats have transacted at record prices in this area. This area is a nice place to live. As a property to purchase to rent out, you may find competition extremely stiff especially from Commonwealth Towers and Queens Peak. Thus as a property to be rented out, it’s a no-go for me. p.s. I am a licensed real estate salesperson at the point of writing this review. My real estate agency is the marketing agency for Stirling Residences. I can also bring buyers to view and purchase Margeret Ville by co-broking with the marketing agency. My reason for writing this review is to share my personal view about the developments and hopefully share some insight to help buyers make a more informed buying decision. P.S. You can reference the Stirling Residences floor plans here. P.P.S. You can reference the Margeret Ville floor plans here.